The [C] series lamps by Berlin label GANTlights received high acclaim at the European Consumers Choice Awards in 2015. 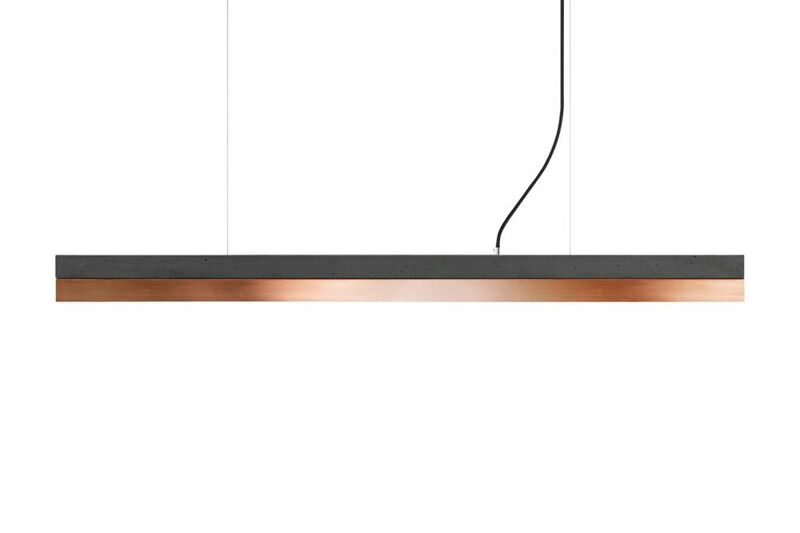 The rectangular pendant lamp [C] COPPER merges light grey or dark grey raw concrete with copper, resulting in a timeless and elegant designer light. Designed by Stefan Gant and handmade in Berlin, the light is ideally suited for illuminating a long dining table, sideboard or desk. The dimmable LED unit is available in two alternative colour temperatures: Warm white (2700 Kelvin) and cold white (4000 Kelvin). Available lengths: 92cm, 122cm and 182cm. Please refer to the technical data section for more information about each version.